A split-second decision thrusts Detective Jimmy Vega into the epicenter of a disturbing case when a body is found in the frosty woods near upscale Lake Holly, New York. With tensions in the community at a boiling point, Vega needs the help of his girlfriend, activist Adele Figueroa, to pursue a dangerous murder investigation. 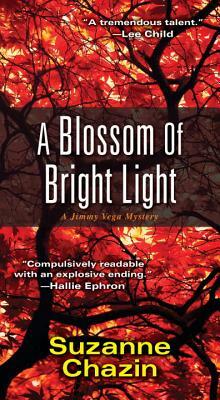 But just as Vega learns that Adele herself is harboring a secret, another body is discovered. It's clear no one is safe. No one is talking. And Vega and Adele are about to uncover a terrifying menace that lives deep within the heart of Lake Holly . . .
Suzanne Chazin won widespread acclaim for the first mystery in the Jimmy Vega series, Land of Careful Shadows. She is also the author of The Fourth Angel, Flashover, and Fireplay. She has twice been the recipient of the Washington Irving Book Award for fiction. Her fiction, essays and articles have appeared in numerous magazines and newspapers, as well as the award-winning short story anthology, Bronx Noir. She lives in the New York City area. Visit her on Facebook or at www.suzannechazin.com.